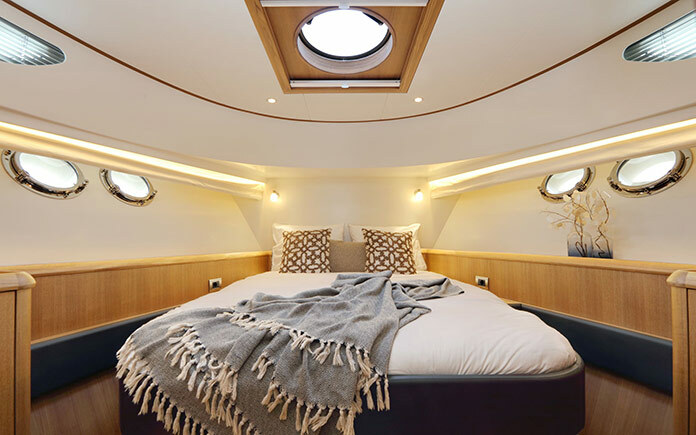 The renewed Favorite will have a more elegant, a more genuine look combined with much improved new aft deck layout to ensure the highest levels of luxury and comfort on board at all times. 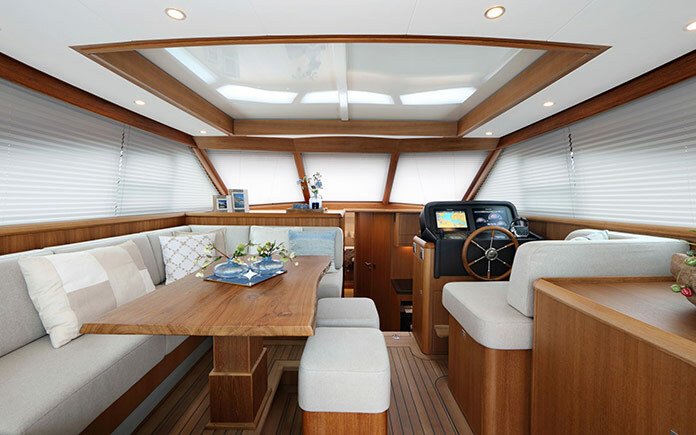 The development of the new model was driven by the steady increase in demand for Mulder Favorite 1500, as the closest to the perfect family-size yacht model there is. 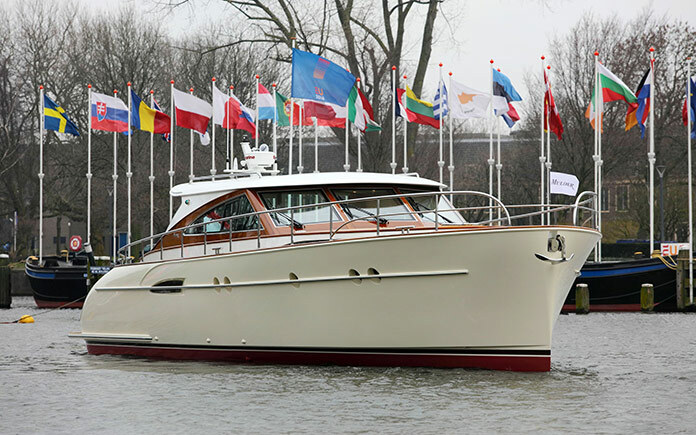 Built to the highest standards in its length, Mulder Favorite 1500 serves as a perfect day-cruiser yacht, but is also very suitable for longer voyages. 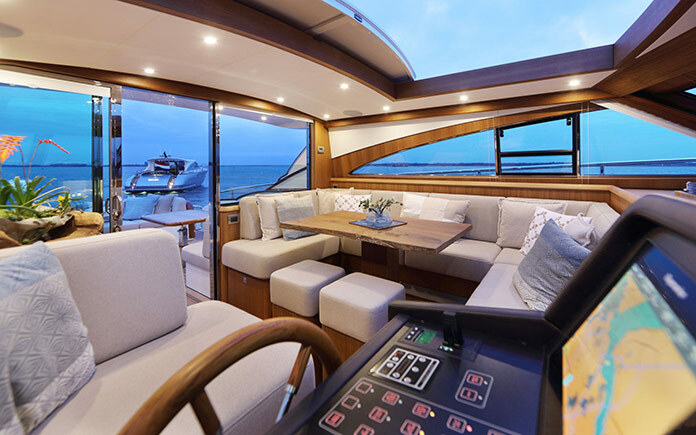 Increasingly Mulder Favorite 1500 has been gaining attention from the international clients, who have been appreciative of encapsulated luxury and comfort which is complemented by modern characteristics, with the potential to personalize this all-rounder to the little detail. 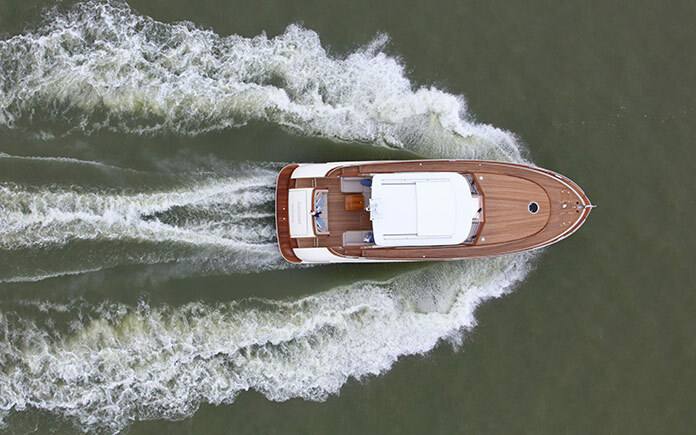 Characteristic features of the modern classic include the nearly straight bow and the sloping transom stern. 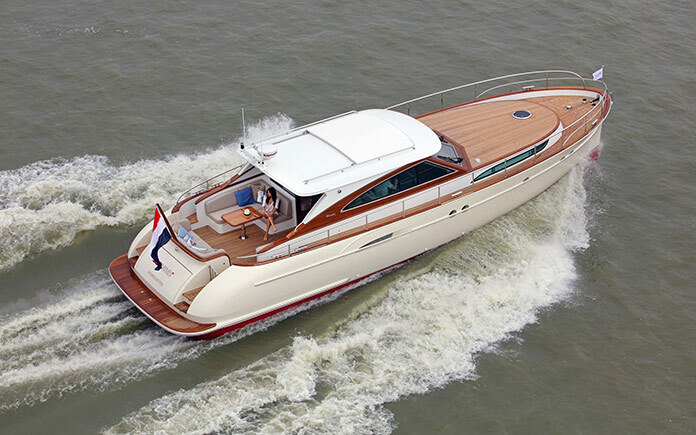 The semi-custom built yacht has a beautiful round-bilged hull and will reach a maximum speed of 25 knots with twin Volvo Penta D6 435 hp each. 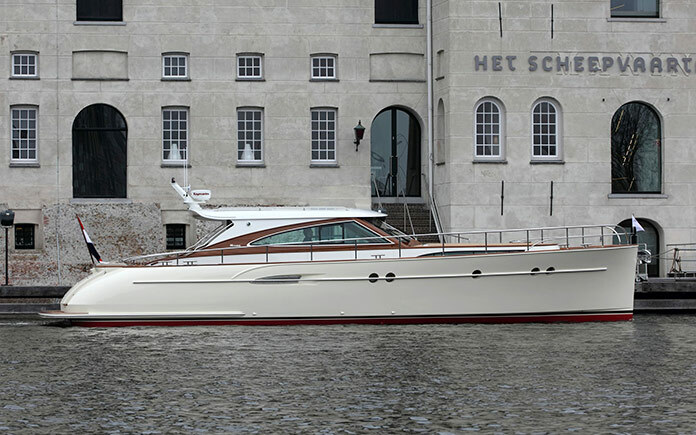 The Favorite 1500 is a distinctive yacht model with recognizable retro lines. 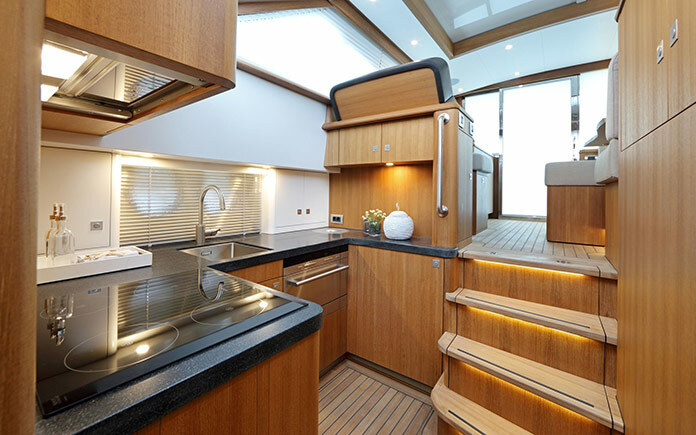 She has a functional layout with spacious cabins, a light saloon and a large open cockpit. 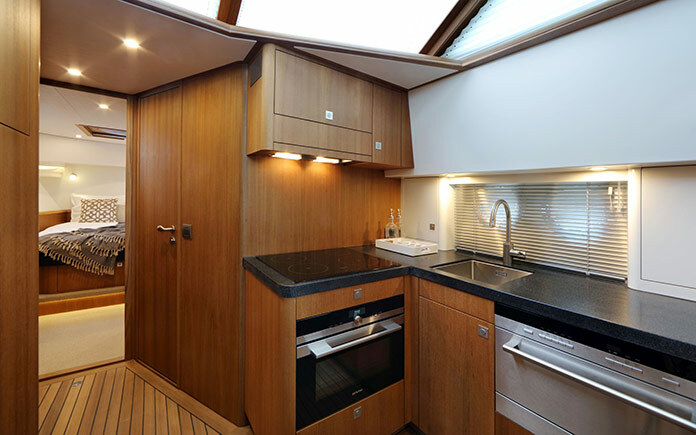 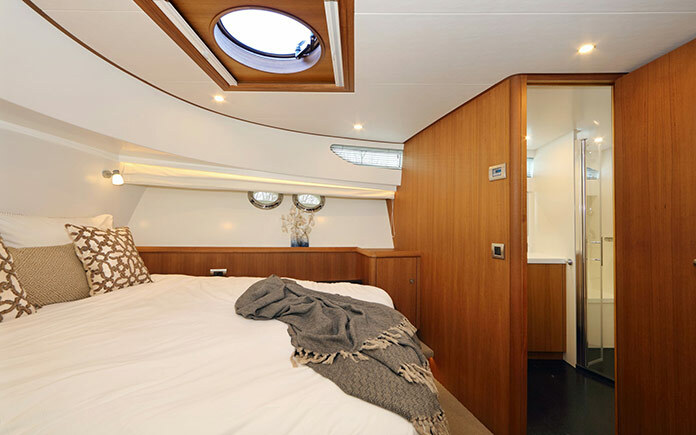 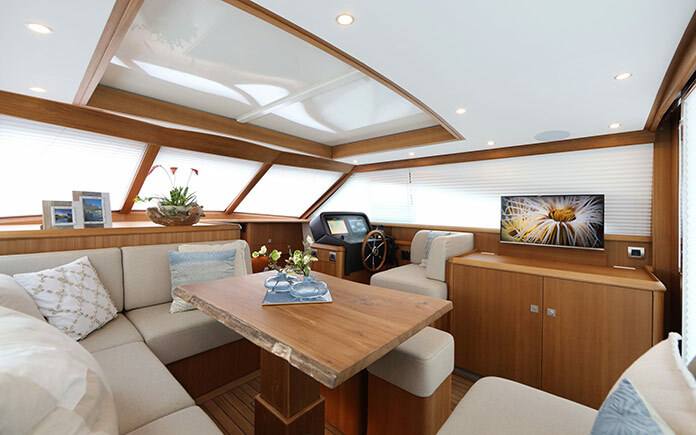 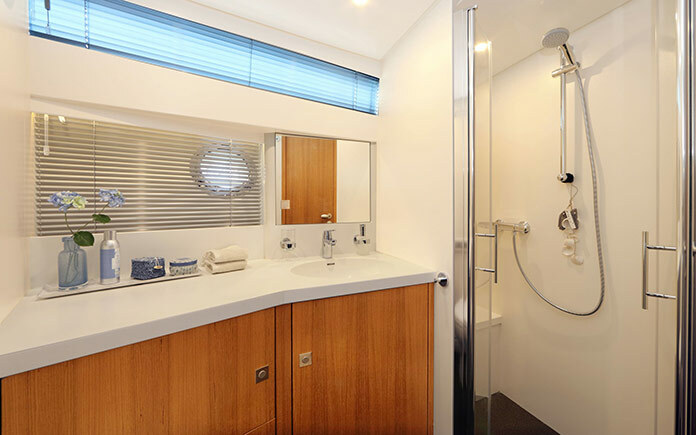 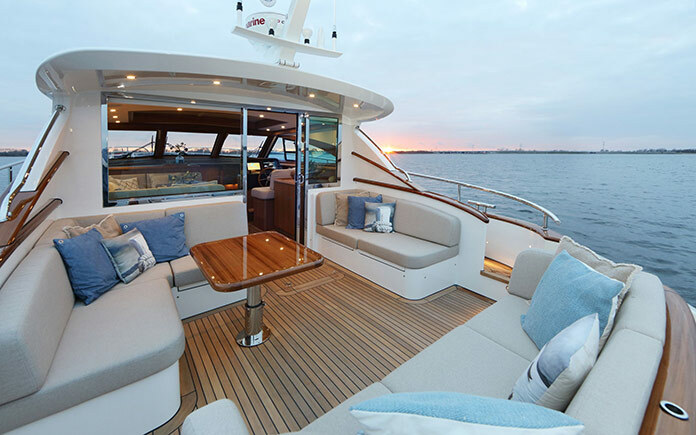 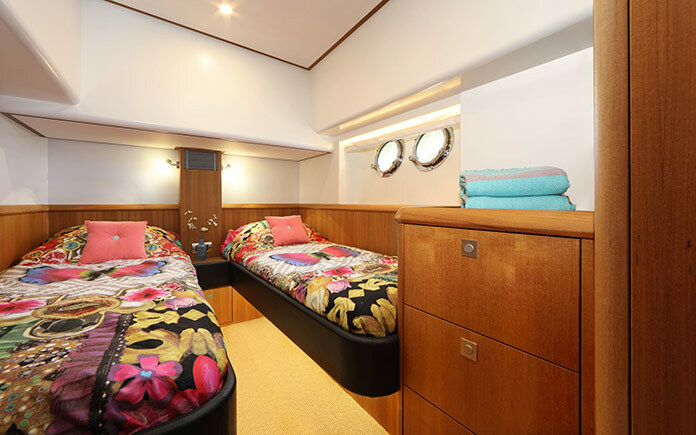 The glass sliding door and electrically operating sliding window provide access to the spacious aft deck, where three comfortable couches and a folding table allow to enjoy many memorable adventures with family and friends. 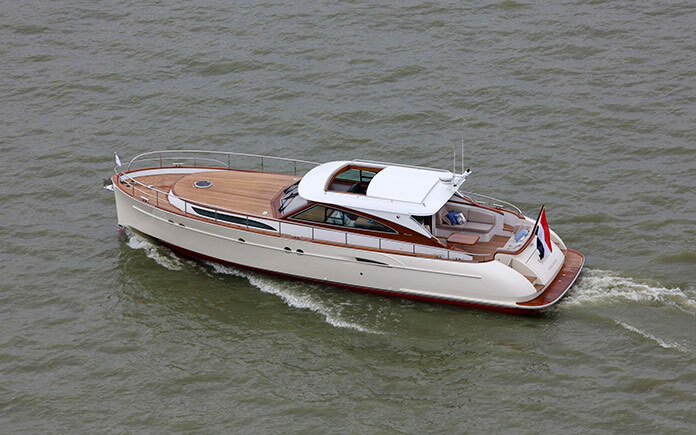 The new model of Mulder Favorite provides many more improved features and comfort, such as latest insulation technologies, floor heating and a storage in the stern for a 3 meter tender, to name a few. 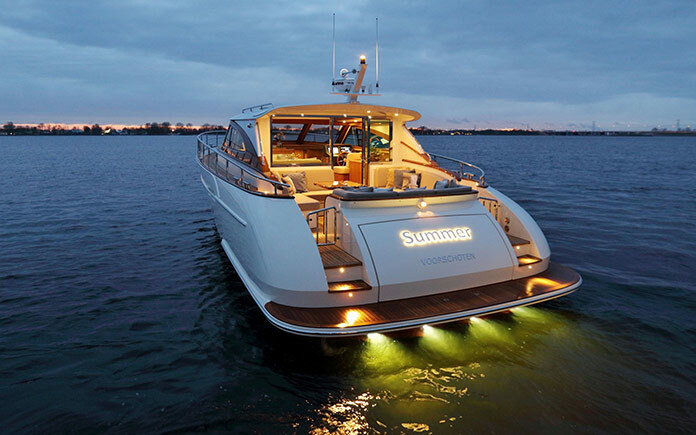 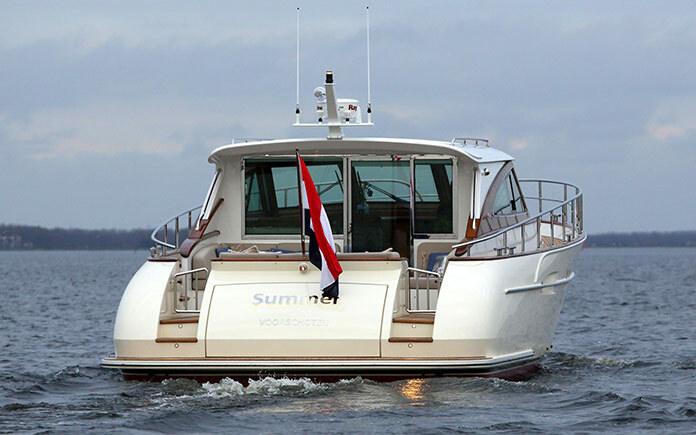 The latest Mulder Favorite 1500, M/Y Summer, is built as a yard demonstrator and will be showcased at several boat shows this season.